Compact groups of three galaxies didn't qualify for the Hickson Atlas of Compact Groups of Galaxies, but there are lots of interesting ones. Miles Paul compiled this list of 118 of his favorites. 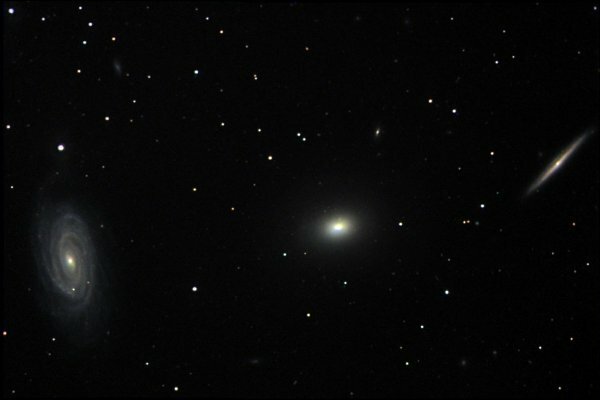 Column Five (#>14) indicates the number of galaxies brighter than 14th magnitude and gives an idea of the group's visibility in smaller scopes.